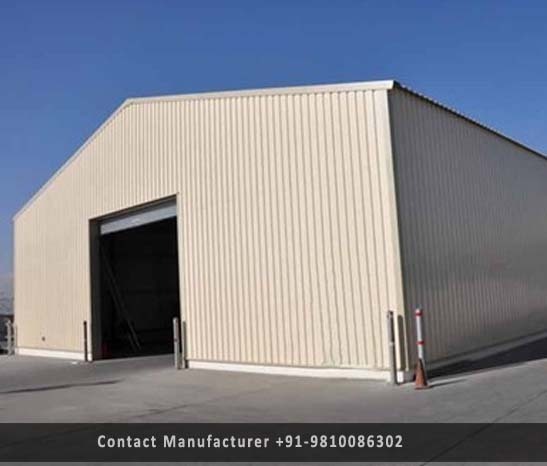 Prefabricated Warehouse Manufacturer in Delhi, Prefabricated Warehouse Supplier in Delhi, Prefabricated Warehouse in Delhi. Prefabricated Warehouse is separately and individually designed to suit specific clients, i.e. an end user, size and geographical location. DTH designed the warehouse especially for the better ventilation and fresh airflow. Our Prefabricated warehouse can be easily insulated in order to lower heating costs. The main moto to give future maintenance services. We provide an attractive, functional, expandable warehousing facility. We designed these warehouse structural with durability manner. There are many structural design options available in the market, and we can recommend the best options for your applications.